Christ the King has many enriching ministry opportunities for children in preschool through 5th grade. creative, and experiential teaching methods. Hearing the story of God’s eternal promises and Christ’s unending love is at the core of our Sunday School for ages 3 through 5th grade. Sunday School 2018-2019 begins with a celebration on Rally Day, September 9! Parents and their children should come to the classrooms at 10:30 am, where teachers will get acquainted with the kids and do a fun activity together. From there, we will join with the congregation outside for a groundbreaking ceremony for the canopy project, at around 10:50 am. You may register for Sunday School here. The Children’s Choir is a vital part of Christ the King’s music ministry, which is why the children will now meet from mid-September through May. 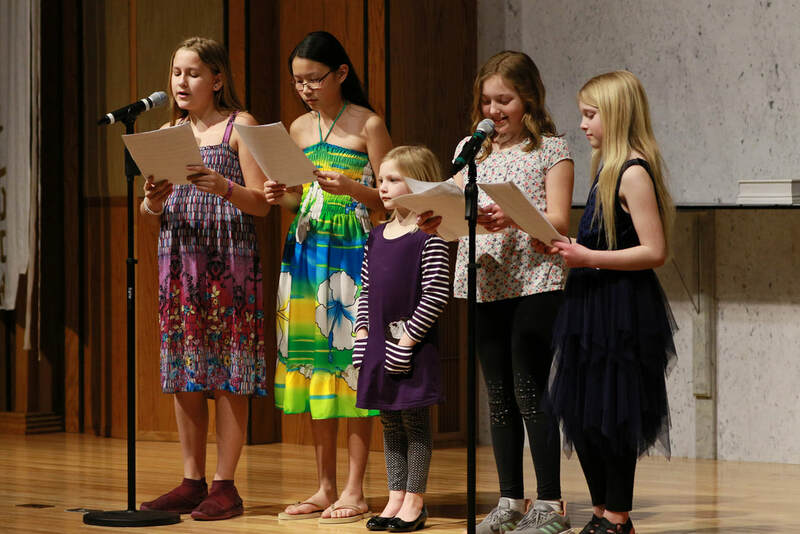 The Children’s Choir enjoys singing in Sunday morning worship as well as our annual Christmas Program, and a combined community choral festival with the Notre Dame Children’s Choirs in the spring. Rehearsals are Wednesday evenings from 6:15 – 7:00 pm in the Music Room. In December we host a fun little Christmas party for children ages preschool through 5th grade, giving parents a chance to get some shopping done, connect with each other or just relax. The Christmas party includes music, games, crafts, a movie, decorating cookies, and just having fun together! Lunch will be provided. Contact Faith Jordan at tfjordan3@comcast.net for more information.